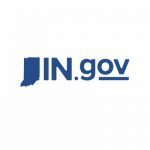 Higher than expected collections from individual income taxes, corporate taxes and interest contributed to state monthly revenues in March coming in ahead of projections, according to the Indiana State Budget Agency. The agency reported general fund revenues for March totaled $1,149.3 million, which is $41.8 million or 3.8 percent above December 2018 revised revenue forecasts and $112 million or 10.8 percent above revenue in March 2018. The state said overall for March, higher than expected collections outweighed lower than expected collections in sales and use taxes. Sales tax collections totaled $591.9 million for March, which is $12.5 million or 2.1 percent below the monthly estimate but $18.7 million or 3.3 percent above revenue in March 2018. The state said while it is early to identify the specific impact of the state enforcement of the recent changes in the taxation of remote sales on the fiscal year-to-date tax collections, revenues from remote sellers are included in the year to date collections. Individual income tax collections totaled $392.9 million for March, which is $10.7 million or 2.8 percent above the monthly estimate and $40.1 million or 11.4 percent above revenue in March 2018. Corporate tax collections totaled $54.4 million for March, which is $26.3 million or 93.7 percent above the monthly estimate and $15.1 million or 38.3 percent above revenue in March 2018. Riverboat wagering collections totaled $36 million for March, which is $1.8 million or 4.7 percent below the monthly estimate but $7 million or 24.3 percent above revenue in March 2018. Racino wagering collections totaled $11.5 million for March, which is $200,000 or 1.7 percent below the monthly estimate but $3 million or 35.2 percent above revenue in March 2018. The state said year-to-date general fund collections totaled $10,947.5 million, which is $6.6 million or 0.1 percent above the December 2018 revised revenue forecast and $396.7 million or 3.8 percent above collections through the same period in the prior fiscal year. Year-to-date sales tax collections totaled $5,896.2 million, which is $100,000 above the December 2018 revised revenue forecast and $212.0 million or 3.7 percent above collections through the same period in the prior fiscal year. The state reported year-to-date individual income tax collections totaled $3,846.4 million, which is $67.8 million or 1.7 percent below the December 2018 revised revenue forecast and $99.3 million or 2.5 percent below collections through the same period in the prior fiscal year. The year-to-date collections include an adjustment for individual income tax collected in January, which was $4.7 million lower than initially reported. Year-to-date corporate tax collections totaled $414.1 million, which is $40.8 million or 10.9 percent above the December 2018 revised revenue forecast and $203.7 million or 96.8 percent above collections through the same period in the prior fiscal year.